Disclaimer: “Disney”, “Disney’s Little Mermaid” and “Disney’s Ariel” names and images are the copyright, trademark and property of Disney. All rights reserved. 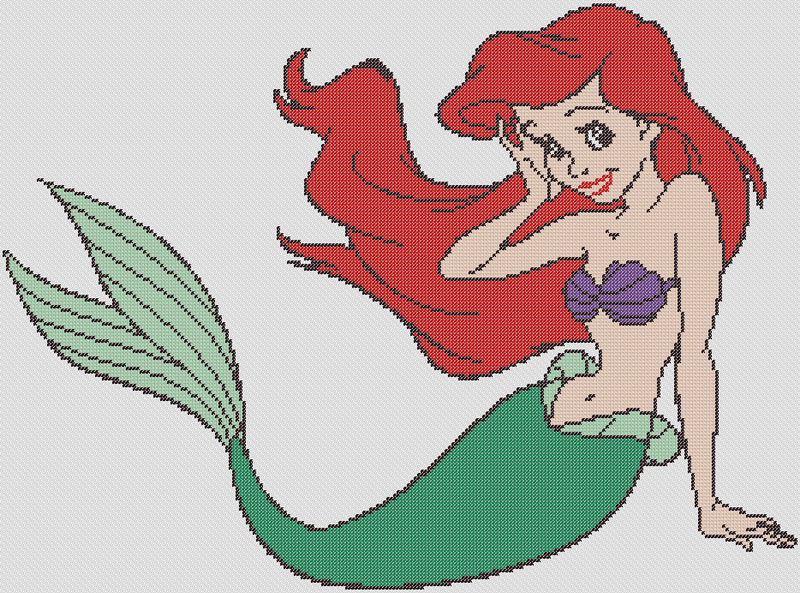 Cross stitch patterns found in this site bearing the Disney and Disney’s Little Mermaid Ariel names and images are for personal use only. Each of our pattern conveniently includes a color key and sheet. If you use one of the free cross stitch patterns from CrossStitch4Free.com for a project, feel free to contact us and include a picture of your completed project to be included in our website. Download Disney’s Little Mermaid Ariel Cross Stitch Pattern zipped file (approx. 1Mb — downloaded 267 times). The password for this download is “crossstitch4free” without the quotation marks.